It’s impossible to explore a new place without really indulging in the cuisine culture. 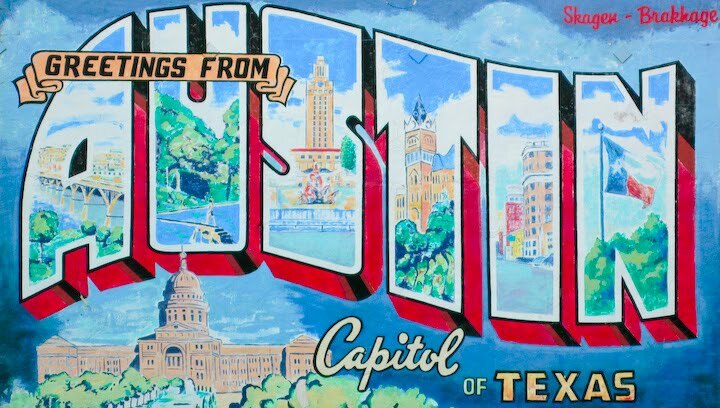 Austin is certainly not limited in its possibilities. This will be the first part of a series on the food and drink I’m being introduced to (for the sake of investigatory journalism, of course): Tex Mex, Microbrews, Locovore, Wine, Interior Mexican (but...wait), Cajun/Creole, Gulf Seafood (uhh..what? ), and anything else Texas lays claim to. But I suppose I should start with the obvious choice, the Holy Grail of Texas eating: Texan Barbecue. In Texas in the summer, practically every party I’ve seen includes a barbecue. Grilling is a practical, delicious way to cook for many. True to the “Everything’s bigger in Texas” creed, barbecue is never served properly portioned. Texans claim their barbecue is not only superior, but distinctly different than in various other regions. I’m sure I’ll get to the bottom of this one. I’ve been training for this series. 1. The type. Often in Texas, barbecue references brisket, ribs or smoked ham. We’re also talking burgers, pulled pork, sausage, chicken, hot dogs, seafood, lamb, and steaks joining us for dinner, as Texans happily engage in their carnivoracity. The meat is slow cooked over open flame to give it a discernible “smokey” flavor – which I’ll discuss later. Apparently Texan barbecue sauce has a distinct regional flavoring, included but not limited to the following flavors: molasses, honey, dry mustard, chili powder, red and black pepper, horseradish, beer, Worcestershire sauce, apple cider vinegar, and hickory smoke. Food as chemistry! Deliciously nerdy! There are also countless other things that taste good off a grill including, but not limited to vegetables, fish, shellfish, tofu, cornbread, fruit, kebabs, sandwiches (grilled cheese! ), bread, corn, tortillas…of course, this in not strictly Texan in nature, but honestly, once you start thinking about barbecue, the list could go on for awhile. This article in the NYTimes will leave you salivating…I’ve been referencing it for weeks: 101 Fast Recipes for Grilling. In my opinion? The barbecue here is fantastic and often comes with free live music. And sunshine. What a place! Now, I must go eat. What is so strange is not just all the varieties of BBQ--everybody knows the flavor and even the sacrificed beasties vary regionally. Georgia BBQ ain't like the ribs in Chicago. But the variety of competing BBQ flavors in Texas alone is a phenomanon that derserves considerable field study. Sacrifice your body for Science, Rach. And take notes!